Pack your bags and head back to college with Melissa McCarthy! “Life of the Party” is now available on Blu-ray Combo Pack, DVD and Digital from Warner Bros. Home Entertainment. The Blu-ray Combo Pack features a Blu-ray disc with the film and special features in high definition, a DVD with the film in standard definition and a Digital version of the movie. “Life of the Party” is also available on Movies Anywhere. 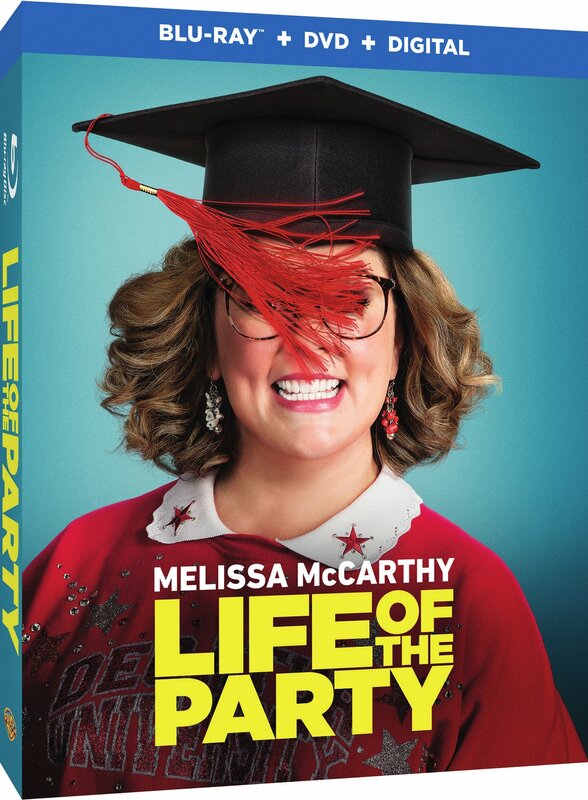 “Life of the Party” on Blu-ray Combo Pack is now available for $35.99 and DVD for $28.98. Rated PG-13 for sexual material, drug content and partying, “Life of the Party” has a running time of 105 minutes. Falcone’s behind-the-scenes creative team includes director of photography Julio Macat (“The Boss,” “Horrible Bosses 2,” “Daddy’s Home”), production designer Rusty Smith (“The Boss”), editor Brian Olds (“Central Intelligence”), and costume designer Louise Mingenbach (the “The Hangover” franchise) with music by Fil Eisler (“How to Be Single,” TV’s “Empire”). A New Line Cinema production, “Life of the Party” will be distributed worldwide by Warner Bros. Pictures, a Warner Bros. Entertainment Company. McCarthy and Falcone co-wrote the screenplay and produced through their production company, On the Day Production. Chris Henchy is also producing the film, with David Siegel serving as executive producer. GIVEAWAY — $25 Best Buy Giftcard!